“What a great year for dahlias,” I said softly and proudly as I stood in the midst of my dahlia garden last week. The plants had grown to heights of 6 feet tall and each of them were filled with beautiful flowers and buds. I reflected on all of the hard work that I had put into them – digging up all the tubers (the thickened underground part of the stems) at the end of last year and storing them for the winter, preparing the soil for them to be planted, putting up stakes to support the main stalks as they were growing, tying up any new shoots that needed support, watching out for bugs or disease on the plants – and now, these beautiful dahlias are in full bloom! However, despite my enthusiasm, deep down inside, I knew that although my intentional care for the dahlias was important to their current condition, God’s provision of nearly perfect growing weather was the most important part of all. Almost immediately, my thoughts went to the recent hurricanes that created great havoc and destruction both here in the United States as well as in many places around the world. Families have lost all of their physical belongings, homes are in need of repair, and personal businesses will need to be rebuilt without the support of a thriving economy around them. 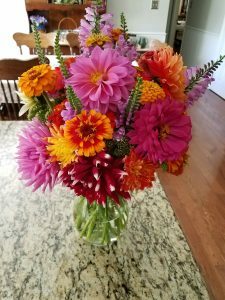 It didn’t seem fair that I was reveling in the beauty of my dahlias while these folks were struggling to survive –all because of the weather! Certainly, in these times of disaster, we gain a new appreciation for the work of agencies such as Mennonite Disaster Service, who have the ability to bring direct and immediate help to these communities who are in desperate need of support and encouragement. Rebuilding these communities will take an intentional commitment of time and resources over a long period of time. The process itself can be both overwhelming and exhausting. But in the end, though the storms have torn down and broken much of what was in their path, the intentional effort to the rebuilding process often leads to a deeper ownership and togetherness of the community. As I think about the opposite scenarios of my garden and the hurricanes, I cannot help but reflect on the church. Churches do not always exist in perfect climates – in fact, they are susceptible to all forms of weather. At times, gentle rains come and add the perfect amount of moisture for optimal growth to take place. 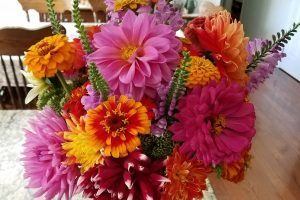 In those conditions, the church produces beautiful flower bouquets of service and love that extend out to many in the community around them. Yet at other times, hurricane winds blow through our churches wreaking havoc in the form of disagreements, pride, and apathy. The strong winds rip apart places that we thought were secure and break down relationships that we were certain were firm and sure. In the aftermath of the storm, there often seems to be nothing left but rubble and hopelessness. However, despite the pain and struggle, when a congregation journeys through these times, it can also spur a renewed focus on vision and mission and draw the congregation closer to each other and to God. We should not be surprised by weather changes. In fact, we all realize that at some time and some place in the church, we will experience some harsh weather. In the Mennonite Confession of Faith’s description of the church, we are reminded that no church is perfect, but we are still to be “committed followers of Jesus Christ and to be accountable to one another and to God” – no matter what the circumstance (Mennonite Confession of Faith, 35). Any type of storm damage repair requires the church to come together and look for ways to seek help from each other, mutual care from outside of the church, and to be intentional about rebuilding. In other words, rebuilding from a storm calls for us to confess our own imperfections as a church and be intentional about strengthening up the only firm foundation which is in Jesus Christ. For other ways to help with Hurricane Relief visit Houston Mennonite Church here. 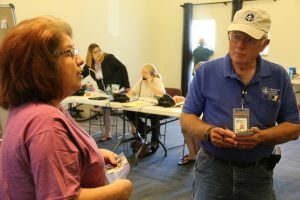 Lititz, Pa. – A Mennonite Disaster Service (MDS) assessment team arrived Wednesday in southeast Texas to explore early response needs for clean-up and rebuilding after Hurricane Harvey. 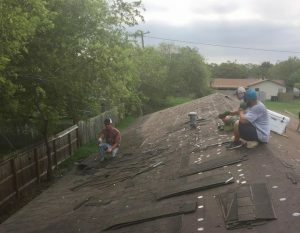 While blue skies and sunny weather greeted them, they were quickly in contact with the Long-Term Recovery Committee of Bastrop east of Austin, who introduced them to several of the city government officials from Rockport, one of the hardest hit towns along the coast. The City of Rockport moved their city service officials to the Community Library of Bastrop because it was simply unsafe, they said, to remain in the Rockport city limits. 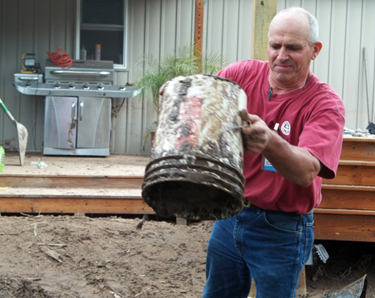 Mennonite Disaster Service volunteers have been serving in Bastrop since 2011 responding to floods, fires, tornados and more floods. They most recently completed work there in March 2017. Fortunately, Bastrop was spared the worst of Hurricane Harvey. By mid-afternoon, the team was on their way to La Grange, then Victoria, two cities in the path of the storm. Thursday they planned to visit the town of Pasadena southeast of Houston where Iglesia Menonita Casa del Alfarero experienced flooding with some members losing their homes. The investigation will continue through Sunday, September 3. Visit the Hurricane Harvey page to make a donation, volunteer or download the MDS Hurricane Harvey bulletin insert. Visit Houston Mennonite Church for more information on how to be a social media ambassador and additional ways to assist in Hurricane Harvey relief. 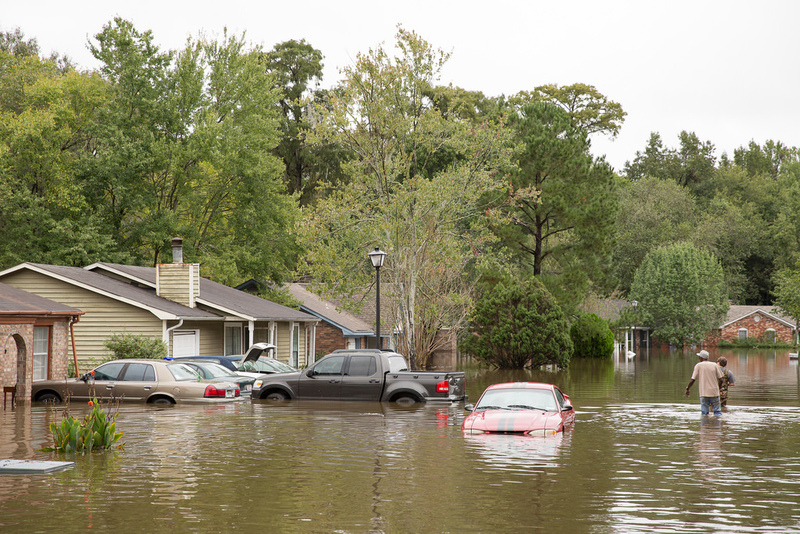 Contributions are being accepted and designated as “Carolina Floods”. While the rains may have stopped, South Carolina still faces a host of concerns, including cresting rivers and failing dams. Though it is still an evolving situation, our prayers and assistance are clearly needed. Few service opportunities are as memorable, humbling and impactful as working on a disaster relief site. Anyone can volunteer! Those skilled in construction and/or leadership are essential, but they can use and train any adult volunteer, regardless of skill. Volunteers need to be willing to reach out to people in need, risk becoming a part of a new experience and serve with a positive and Christ-like heart. While projects in the Carolinas are yet to be organized, there are currently numerous short and long term opportunities with MDS. On November 8, following Superstorm Sandy, I was privileged to participate with one of the early Mennonite Disaster Service (MDS) teams to Staten Island. There amidst the front end loaders lifting wet debris from the streets into dump trucks, we encountered a busy community of local people and volunteers like us attempting to be helpful. One thing became immediately clear. MDS and Mennonites did not have a corner on compassion and care. Along the street in front of the Oasis Christian Center building, men worked over a grill preparing chicken for anyone, including us, to eat for lunch. The church (with partial Mennonite roots) had moved their worship to another setting to make the building available as a center of distribution for clothes and food. In the background we heard the purr of generators providing power for the activities going on in the church. Beside the church, at a makeshift table under a canopy, two people gave direction to the many people milling about who were seeking to be helpful. Located only a few blocks from the bay, this church, like all the homes in the area, was vulnerable when the high tide and storm surge came roaring down the street. Across the front of the church a distinct waterline indicated the height of the water during the storm—about neck high for an average-sized adult. Basements and the first floor of homes throughout the neighborhood had been flooded. Near to the church were several homes where the residents had drowned. Inside the church, we sorted clothes and food donated for those in need. “Do you have any hooded sweat shirts?” someone inquired. Such a request was not hard to understand on this cold November day. “We lost everything,” a woman reported through tears, with deep gratitude for jackets to wear. Toiletries, clothes, and food of every kind appeared. Twice during the day a U-Haul truck pulled up to the curb with contributions gathered around the city for distribution. Others in our group worked at restoring electrical systems destroyed by the water, or in removing drywall so that the interior of the walls could dry without mildew. About dark we began our journey back to Lansdale, Pa., and to the safety of our homes. The team was united in gratitude for being able to participate in such a day of service to others. But beneath the reward of having been privileged to serve, I sensed an unspoken sober awareness of the fragility of life, and the reality that natural disasters such as we witnessed were seemingly becoming more frequent. At least that is what some of our public figures suggest. What might that mean for our nation, for us? That question, plus the inexplicable destruction we had just witnessed in this Staten Island community remained for us to ponder as we returned home that evening. Jim Lapp is a retired Franconia Conference pastor who has served broadly in congregational, conference and denominational roles. He and his wife Mim Book have returned to Southeastern Pennsylvania this fall after serving in an interim pastoral role in Nebraska. 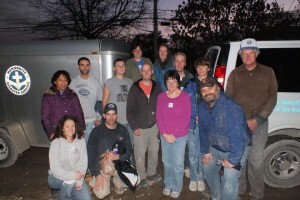 Individuals and teams from many Franconia Conference congregations have served with Mennonite Disaster Service since Superstorm Sandy, including Salford, Plains, Philadelphia Praise Center, Doylestown, Salem, Blooming Glen, and Ambler. If you have served in this way and have reflections to share, email your thoughts to Emily. Mennonite Disaster Service is anticipating a long-term presence in New York as the cleanup from Hurricane Sandy continues. Photo by Dawn Ranck. A new normal is emerging in Staten Island’s Midland Beach neighborhood where Mennonite Disaster Service has set up alongside the ministries of Oasis Christian Center, to clean up and rebuild following the devastation of Hurricane Sandy. The one-story-high mounds of debris are gone. Traffic signals are working and electricity is back. 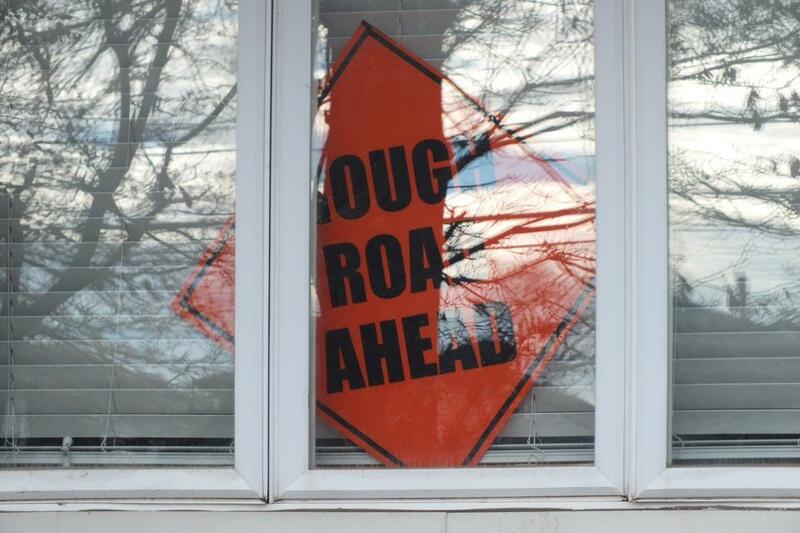 Most houses have been inspected and are marked with red, green or yellow placards signaling the level of work required for habitation, or condemnation. The Oasis Christian Center has been a hub of activity in the battered neighborhood. The church sanctuary is now full with donations—clothes, cleaning products, food. Supplies are in order and sorted. A sign out front says, “No More Donations.” The church’s basement has been gutted and new metal studs stand waiting for finishing. 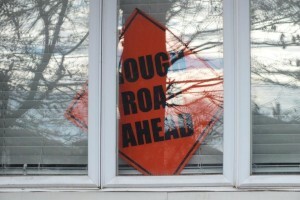 But there are still signs of the rolling wave that overtook the neighborhood. Flood damaged cars line the streets. Heavy equipment continues to roll in. There is a visible police presence. Mennonite Disaster Service day volunteers are working and groups are scheduled into December. An average of 100 volunteers work each week. Long-term coordinators are living in a RV in the church yard next to Oasis. On these days before Thanksgiving, groups of volunteers were coming from the north, south and west: Amish and Mennonites from Lancaster County (Pa.), diverse teams of Mennonites from Delaware and the Philadelphia area, members of the Bruderhof in the Hudson River Valley. Teams from Franconia Conference congregations continue to arrive on a weekly basis. Volunteers are busy with about 50 jobs waiting. 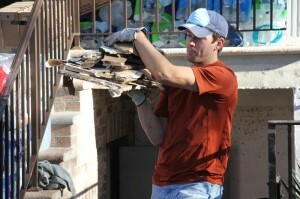 Residents are working alongside volunteers. The process of tearing out and cleaning up is dirty, smelly, musty. Even on crisp fall days, the air inside the flooded houses is damp and heavy. The church is still receiving lunch donations. Food just shows up from Staten Island businesses. The overflowing generosity is increasingly better organized. A truckload of quilts and knotted comforters arrived from upstate New York, made with love and gifts of human grace. Members of Plains, Zion, Salford, Methacton, Perkiomenville and Swamp congregations served with MDS two weeks after Hurricane Sandy. These days before Thanksgiving, the gratitude is evident. 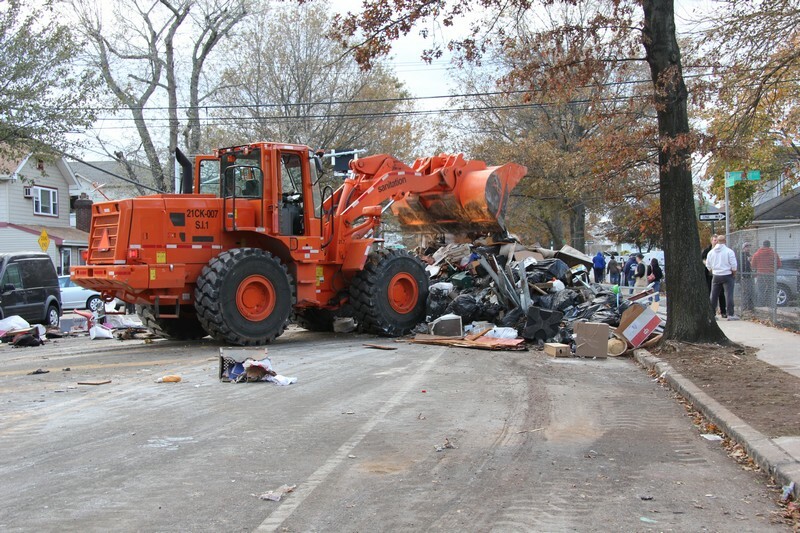 Staten Islanders still tear up quickly alongside volunteers. It’s tough to find temporary housing. It’s tough to imagine getting through this and getting to the other side. It’s tough to sort through belongings and to remember the surprising wave of water that submerged the neighborhood as it never had before. Everyone knows Midland Beach won’t ever be the same or feel the same. There’s a sense of loss alongside a sense of genuine hope. In these days before Thanksgiving, the efforts seem persistent, patient, generous, unhurried, less frantic. There’s still much to be done. And yet, there’s still much to be thankful for even in the midst of an unthinkable disaster. Hope and help keep showing up. Thanks be to God. MDS accepts monetary donations to support the clean up work in all areas affected by Hurricane Sandy. MDS does not accept donations of food and other items.Monetary donations can be made on the MDS website, mds.mennonite.net, by phone (717) 735-3536, or by mailing a check to MDS, 583 Airport Road, Lititz, PA 17543. To designate the donation for Hurricane Sandy, write “Hurricane Sandy” in the memo line of the check. MDS responds to disasters in Canada, the United States and their territories. Mennonite Central Committee (MCC) responds to disasters in international settings. 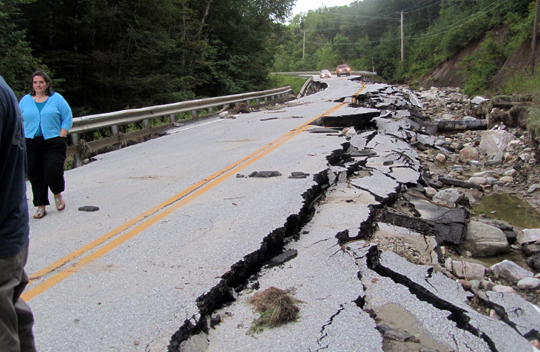 MCC is responding to the damage from Hurricane Sandy in Haiti. For information on MCC’s work in Haiti, check their website, mcc.org. Two weeks ago Hurricane Sandy pummeled the Northeast Corridor, landing near Atlantic City, NJ with high winds and high tides that pushed water into New York City neighborhoods, reshaped New Jersey’s barrier islands, and caused widespread wind damage and power outages across eastern Pennsylvania. In the days after the storm, the scope of damage continues to emerge. The needs in the midst of clean-up and recovery change day-to-day. But undoubtedly, the recovery is going to take awhile. 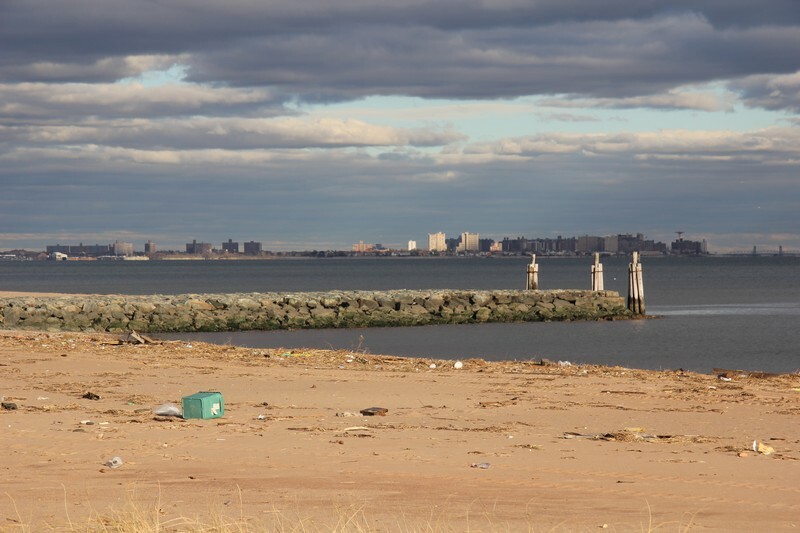 Mennonite Disaster Service has established a binational project in Staten Island’s hard hit Midland Beach neighborhood, which, according to the New York Times, contained the highest concentration of deaths from the storm. Midland Beach is a collection of cottages densely packed together along New York Bay with views of the Verrazano Bridge in the distance. It’s a tight neighborhood of long-term generations of residents alongside newly arriving immigrants from Latin America and Eastern Europe. 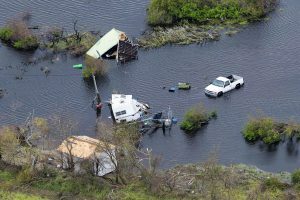 Neighbors were trapped by what some residents call a tsunami wave that rolled in from the bay to the east, through marshes in the north and from a large field that had been an aircraft landing area in the south. Water poured through the streets, rising rapidly, trapping neighbors in houses for hours. New York Police evacuated residents stranded on rooftops and in attics by boat while neighbors helped neighbors by evacuating with four wheel drives and canoes. Some residents died in their sleep as the water rose quickly. Bodies were still being recovered last week, wedged amongst furniture and debris. 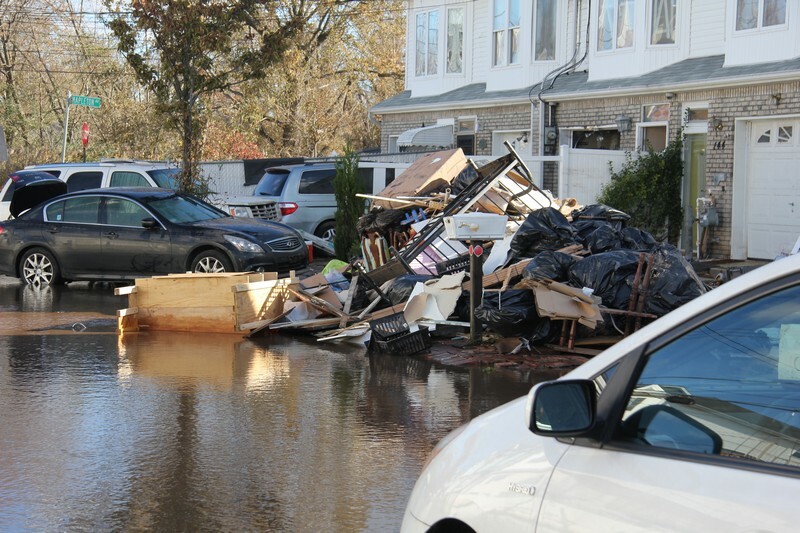 Mennonite Disaster Service teams began arriving in Staten Island from Followers of Jesus Mennonite Church in Brooklyn a few days after the storm. Within the first week an assessment team from Mennonite Disaster Service New York came to survey storm damage in Staten Island and Queens. The team quickly recognized the extent of damage and bumped up responsibility to the binational office. A week after the storm, teams from Pennsylvania began arriving at Midland Beach’s Oasis Christian Center. Oasis was formed from the merger of two congregations, one of which had been a member of Lancaster Mennonite Conference. A member of the church whose house had been damaged had served on a MDS team in Arizona a decade ago. The church buzzed with activity as they received donations from various sources and reached quickly into the neighborhood by offering food, clothing, and guidance. 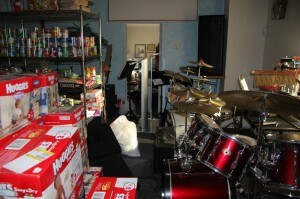 Pastor Tim McIntyre made sure that the space could be used as an aid center. 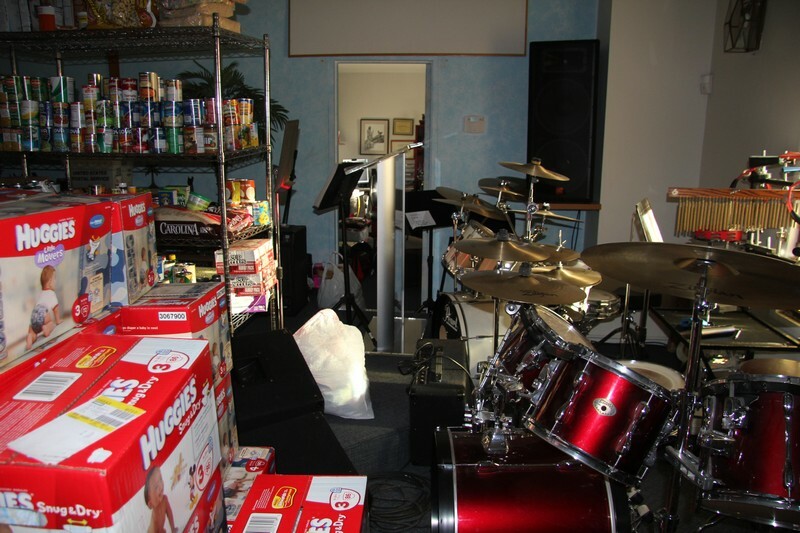 The church’s sanctuary was turned into a makeshift warehouse with weekly worship moved off-site. Food was cooked outside in the church’s courtyard. Bottled water and cleaning supplies overflowed onto the church’s porch. Mennonite Disaster Service followed the lead of New Yorkers in lending a hand, including NYC Mennonites. A group from United Revival Mennonite Church responded to needs in Coney Island a few days after the storm. Volunteers from Followers of Jesus Church went to work in Staten Island, helping with cleanup and organizing the cleanup efforts. After initial surveys, MDS sought to establish an operation center in Staten Island, bringing in volunteers from upstate New York along with Ray Zimmerman, Region 1 coordinator and Mel Roes from Lowville, New York who leads MDS New York. Isaac Zehr and Vernon Long have moved south to organize the operations. Meanwhile, volunteers began to trickle in from Southeastern Pennsylvania, coming from Allentown, Lancaster, and Philadelphia regions for long days of travel and work. 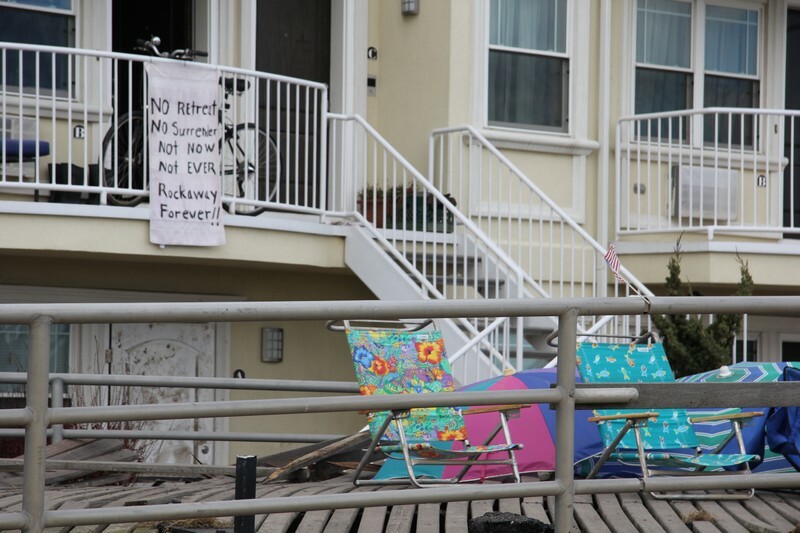 Lodging options on Staten Island are limited. Many persons affected by the disaster are bunking with other family members. MDS efforts are beginning with a focus on families in the neighborhood near the church building and with families involved in Oasis Christian Center itself. MDS expects to be in the neighborhood awhile; they pulled in a RV for temporary lodging and made some negotiations for housing for long-term volunteers in the neighborhood angling toward some possible facilities for week-long workers as well. The devastation across the city is extensive. Many families expect to be displaced for months. Some homes have been condemned. Other families aren’t sure they want to return to their once-flooded homes as they recognize their beautifully-situated neighborhood will always be vulnerable. Staten Island is one of New York City’s five boroughs. With a population of nearly a half million people, its only connection to the rest of the city is by the Verrazono Bridge and the Staten Island Ferry. Its bridge crossings to New Jersey provide easy access to groups coming from the south or west. 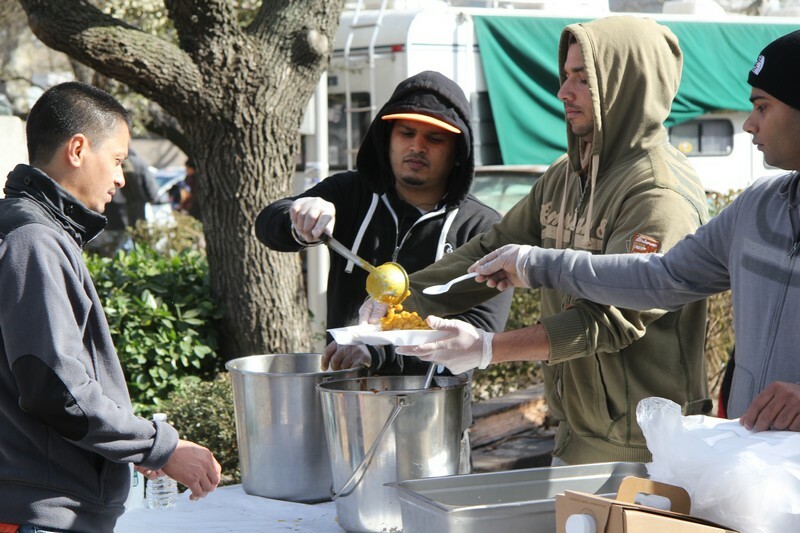 To schedule a day of volunteering in Staten Island, call (800) 241-8111. There are no options for longterm volunteers at this point beyond day trips. On Saturday, November 3, conference staffers Steve Kriss and Emily Ralph joined Mennonite Disaster Service in Staten Island, Brooklyn, and Queens to assess the damage left by Hurricane Sandy and identify needs in preparation for sending teams to aid in the cleanup. After returning home, Steve compiled this list of recollections, appreciation, and observations. 1. 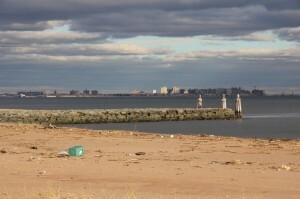 Mounds of garbage in Staten Island, Brooklyn, Queens. And the realization that this is not ordinary trash, but people’s possessions, the stories of their lives in discarded items that had held either purposeful or sentimental value only a few days earlier. 2. Overflowing generosity that meant that the church we were visiting had to stop receiving donations by the end of the day because they had too much. Oasis Christian Center (formed out of the merger of two congregations including a former member congregation of Lancaster Conference) transformed its sanctuary into a distribution center piled high with clothing, water, food, cleaning supplies. 3. We passed by a large 4×4 truck and saw some guys who were gutting an entire house. I commented that this was the right kind of truck to have this week. I asked if we could take a photo of the owner with the truck. 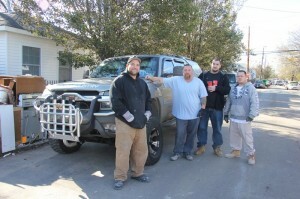 He insisted that the whole work crew gather around the truck and that we share the photo with them. 4. New York City is beautiful; the mix of skyline, bridges, architecture, water, and people is stunning even when it’s a mess. Why would people live here? Because it’s so beautiful and energizing, frustrating and amazing. 5. People took what they had and shared it with each other—setting up food tables on the sidewalk, serving meals out of their car. 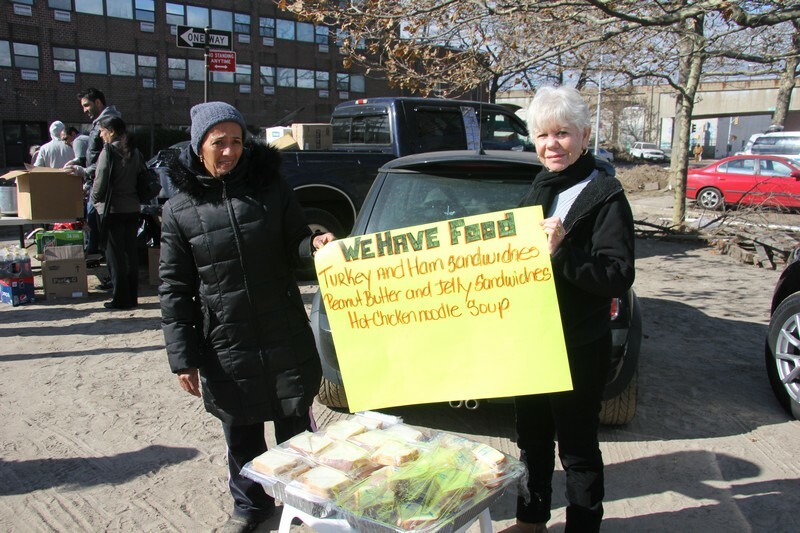 A group of Latino women made sandwiches and soup and told us, “We are poor, but we can help too.” Members of New York’s Sikh community brought their vegetarian meals to the streets rather than keeping them at their temples as would be the norm. We had amazing conversation and curry with basmati rice together while we discussed the community leader’s fascination with Lancaster County. Meanwhile a boy from the community was repeatedly yelling, “Free good hot food!” It was almost like communion. 6. We walked to one of the worst hit areas of Midland Beach where two elderly neighbor women had drowned in their homes. There were flower memorials outside of their homes and buried in the mud we spotted a copy of The Purpose Driven Life. 7. On Facebook, I posted that I’d be driving my pickup truck to Staten Island. Within 24 hours it was filled with donations given in love from Mennonite friends in Philadelphia and another friend loaned me a car so I could leave my truck with friends in Staten Island. I loaded up the truck at night almost to the hilt, but came out to leave in the morning to discover that my neighbors had topped off the load with more bottled water while I slept. I returned that evening to find my yard cleaned and raked from the storm thanks to my other neighbors. 9. While we walked in the neighborhoods, I kept getting sand in my mouth as the wind kicked up. I want to remember the grit of it in my teeth, the sensation of the storm both outside and within me. 10. I was overwhelmed by hope in my encounters with people all day who reflected the Incarnation–the love of the Creator made Real–handing out peanut butter sandwiches, quietly cleaning neighbors’ homes, translating issues in Spanish, Russian, Hindi, offering hamburgers fresh off the grill to passing vehicles, gracious and committed first responders, plain-dressed Mennonite women who kept relief efforts moving efficiently, a woman driving around clean and dry socks to neighbors who were cleaning out their homes. The human response to the situation was amazingly hopeful despite the challenges of cleaning up, rebuilding. Fourteen-year-old Zach who went along with us remarked, “I wasn’t surprised by the destruction. I was surprised by people smiling in the midst of it all.” People like Zach, who wanted to come along with his big sister, photographer Emily, and my Methodist pastor friend Christine from New Jersey, who told the stories of what she saw on Saturday to her worshiping community the next morning while choking back tears, remind me that the power of the Christian story is that it is comedy over tragedy, not death but resurrection. If you are from southeastern Pennsylvania and you would like to join a Mennonite Disaster Service team going to Staten Island, contact Rick Kratz, 267-372-4637. Outside PA, contact the MDS representative in your congregation. If you would like schedule your own team, contact Judy Roes, New York volunteer coordinator, 717-823-3020. Facebook gallery of photos from Saturday’s trip. Update from Rick Kratz at Mennonite Disaster Service–call him with questions, 267-372-4637. We have been in touch with Montgomery County and have some people to follow up with about basement clean outs and such. I don’t have anything for New Jersey at this time but as things unfold we will pass that on. Mennonite Disaster Service is investigating New York City with the Mennonite Churches of New York City to see how best we can be of service. As we get more information and request for assistance I will pass that on to you. At this time we are keeping a list of names of those who contact us about going up to help. Please provide me with any names and contact information of people interested in helping locally or up in New York City. As we receive requests from New York we will put groups together and respond as requested. Many people or organizations are asking about donations. If people or organizations would like to donate to MDS we ask that they do so financially.